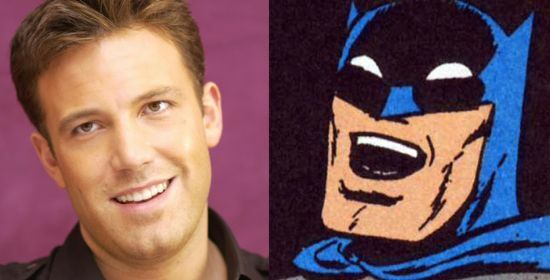 Academy Award-winning filmmaker Ben Affleck will play Batman in Batman vs. Superman, Warner Bros. announced today. The film is due in theaters on July 17, 2015. "Ben Affleck as Batman" is currently the top trend on Twitter in the U.S. "Daredevil" is also trending, Affleck's previous and much-maligned outing as a superhero. 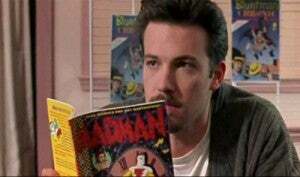 Affleck will be the first actor to cross over from Marvel to DC and play a major, headlining superhero (although a number of supporting players have crossed over from one studio/publisher to the other). He also played George Reeves, the actor who portrayed Superman in the 1950s TV series The Adventures of Superman, in the film Hollywoodland and a comic book writer/artist in Chasing Amy. "We knew we needed an extraordinary actor to take on one of DC Comics’ most enduringly popular Super Heroes, and Ben Affleck certainly fits that bill, and then some," Silverman said. "His outstanding career is a testament to his talent and we know he and Zack will bring new dimension to the duality of this character." Earlier this year, it was reported that Warner Bros. offfered Affleck the role of Batman in a prospective Justice League movie they hoped to have him direct following the success of his most recent film, Argo, for which Affleck won Best Picture. 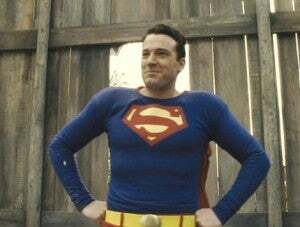 Director Zack Snyder also expressed his excitement about the casting of Affleck, noting, "Ben provides an interesting counter-balance to Henry’s Superman. He has the acting chops to create a layered portrayal of a man who is older and wiser than Clark Kent and bears the scars of a seasoned crime fighter, but retain the charm that the world sees in billionaire Bruce Wayne. I can’t wait to work with him." Kroll added, "We are so thrilled that Ben is continuing Warner Bros.’ remarkable legacy with the character of Batman. He is a tremendously gifted actor who will make this role his own in this already much-anticipated pairing of these two beloved heroes."